Wells Fargo's headaches are quickly piling up. The bank is now facing an investigation and hearing from the powerful House Financial Services Committee over the opening of millions of fake accounts. The chairman of the committee, Rep. Jeb Hensarling, revealed it is launching an investigation and said Wells Fargo (WFC) CEO John Stumpf will be called on to testify at a hearing later this month. Additionally, the House Financial Services Committee sent a letter to Wells Fargo requesting documents related to the bank's controversial sales tactics and that corporate officers be made available for transcribed interviews. "The Committee is very concerned by these serious allegations and is investigating Wells Fargo's questionable sales practices," a letter signed by Hensarling to Wells Fargo reads. The potential for a House hearing on Wells Fargo was signaled earlier on Friday by Rep. Maxine Waters, a Democrat from California, where the bank is based. "I remain concerned that mere financial penalties may not be enough to prevent this from happening again," Waters said in a statement last week, after Wells Fargo agreed to pay $185 million in fines over the fake accounts scandal. The issue is likely personal for Waters as her district includes parts of Los Angeles, the city that filed a landmark lawsuit against Wells Fargo in 2015. The scandal was first brought to light by the L.A. Times, which in 2013 chronicled the pressure-cooker sales culture at Wells Fargo that led to the illegal activity. Wells Fargo is grappling with further fallout. 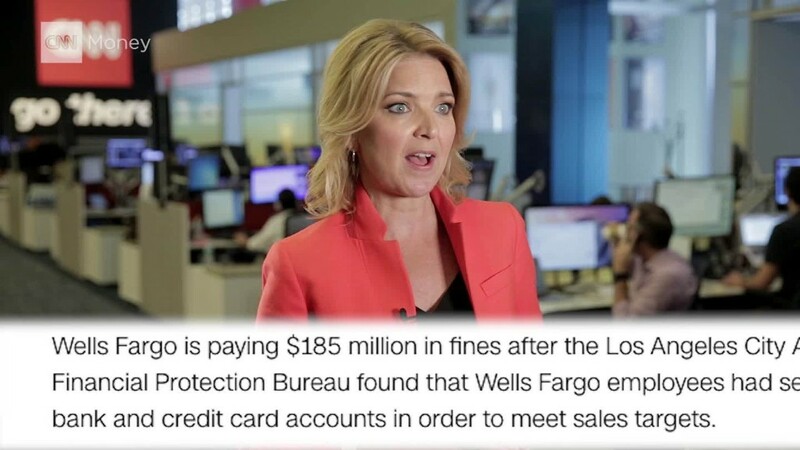 The Department of Justice recently issued subpoenas to Wells Fargo as part of a federal investigation, a U.S. official told CNN on Wednesday. And on Tuesday, Stumpf will be in the hot seat as Elizabeth Warren and her colleagues on the Senate banking committee hold a Wells Fargo hearing. Warren has already suggested she's skeptical Wells Fargo management was unaware of the illegal activity of this scale. "This was a staggering fraud," Warren told CNN recently. "Come on...this went on for years and they didn't smell anything in the air about fake accounts?" If Wells Fargo senior executives were truly in the dark, Warren also said that means "this is simply a bank that is too big to manage." That's precisely what activist group Public Citizen suggested in a shareholder resolution filed on Friday. Citing Wells Fargo's "massive fraud," the resolution calls on Wells Fargo to hire independent experts to explore whether breaking the bank up would make financial sense. "Given the urgency of its management problems," the resolution reads, Wells Fargo's board should consider studying "whether it might more likely remain on the right side of the law under a trimmer organizational structure," the resolution reads.